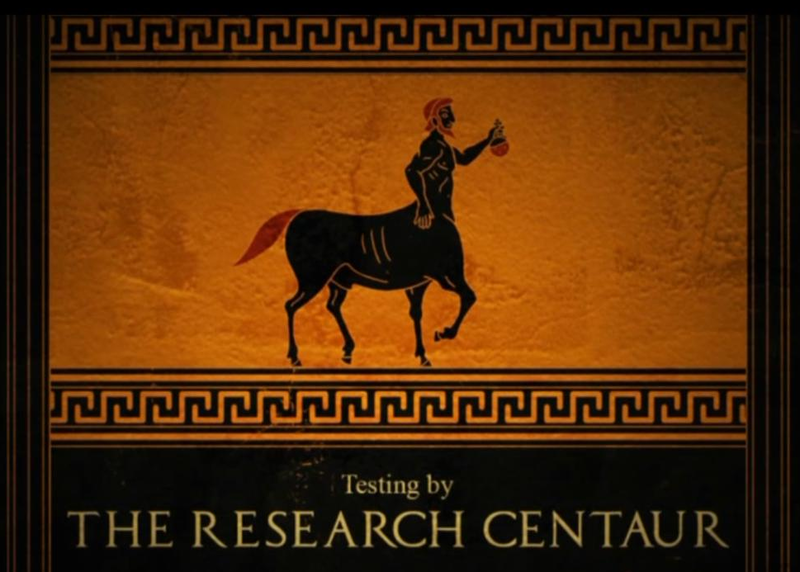 April’s come to a close, and life at The Research Centaur is as busy as ever. We’ve seen three of our client’s game-babies release into the world, helped the Exploding Kittens Limited Liability Company with their public playtest, and even made a foray into blueberry farming (our crop is almost ready to taste!). Here’s a recap of what we’ve been up to since last time we spoke. We helped the awesome team at Alien Trap with some user testing and user experience analysis for their Greek-inspired adventure game. They were even nice enough to make a custom logo for us in their credits! Thanks, guys! You can pick up Apotheon on Steam and PlayStation®4. Bastion by Supergiant is a classic, and we had a great time helping bring the title to a brand new audience on the PlayStation®4. Check it out on the PSN. Dissident Logic has put together an action-packed brawler for PlayStation®4 and Steam. We always enjoy working with small, independent studios, and it was particularly exciting to help out a San Diego local. You can find Paperbound here on the PSN, or on Steam. Congratulations to these and all our developer friends on their releases! Thanks for letting us be part of your game development journey. Custom Centaur credits cameo by the team at Alien Trap.